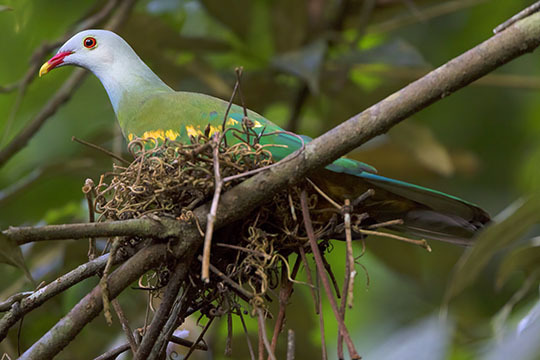 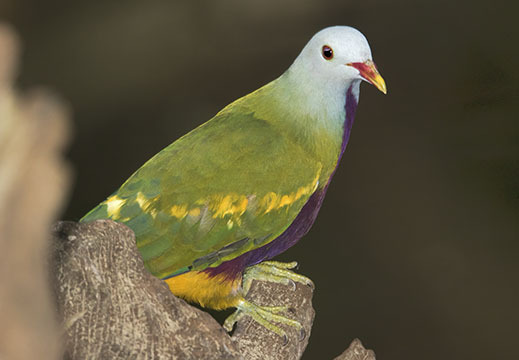 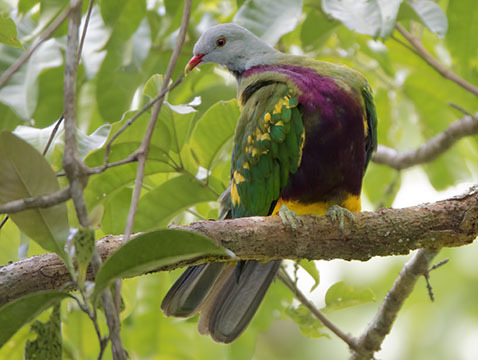 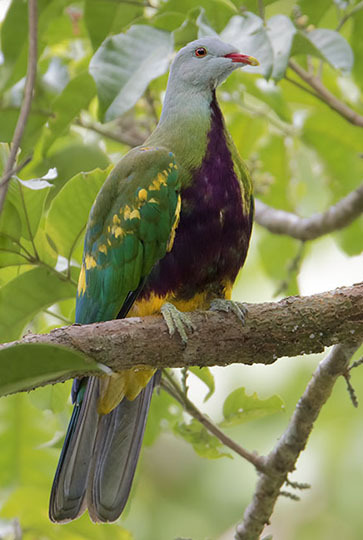 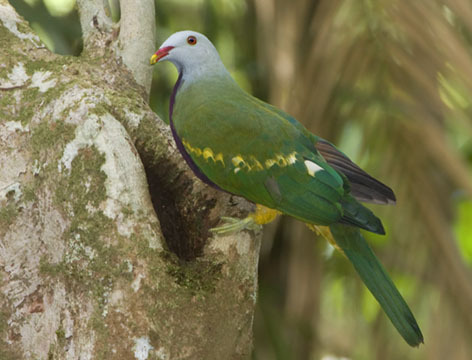 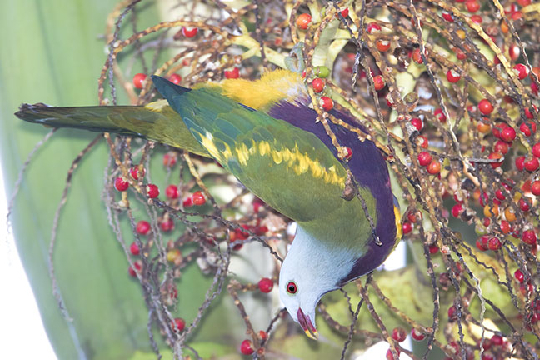 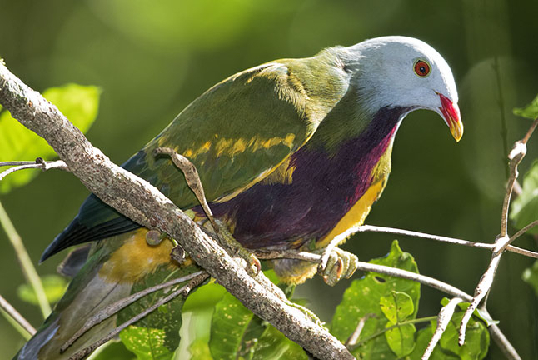 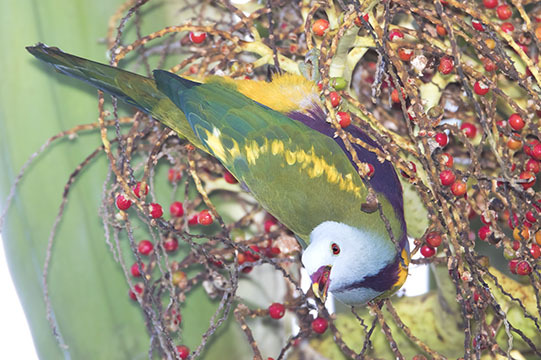 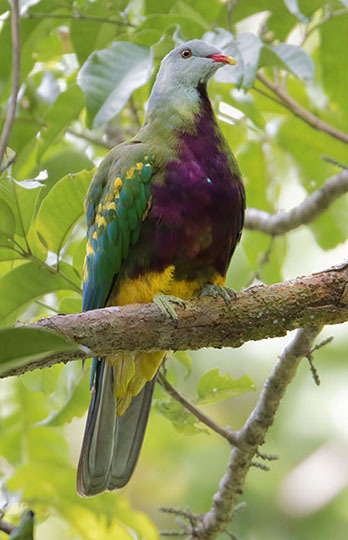 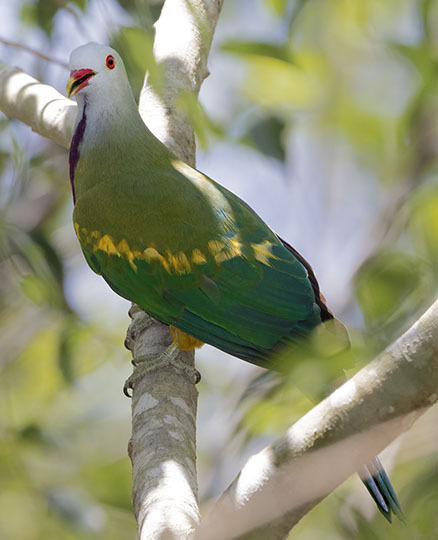 Australia has a rich array of pigeons and doves, and this one -- the wompoo, or subperb fruit-dove -- is among the largest and most colorful. 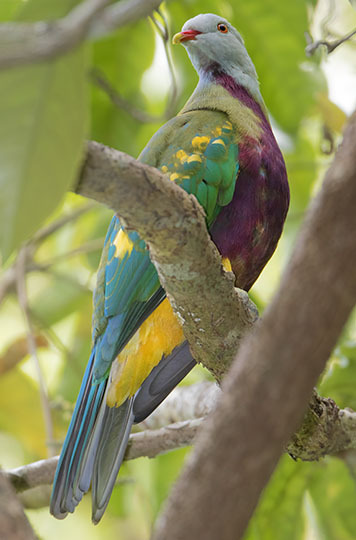 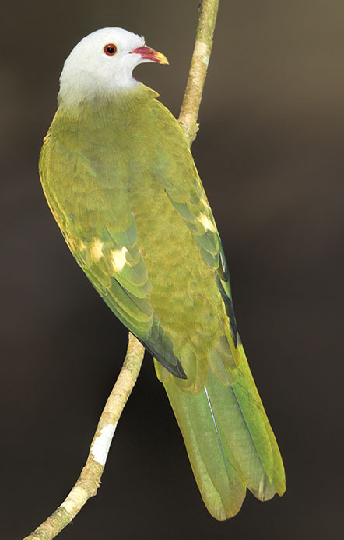 It is a fruit-eating rainforest and wet-forest bird found along the eastern coast. 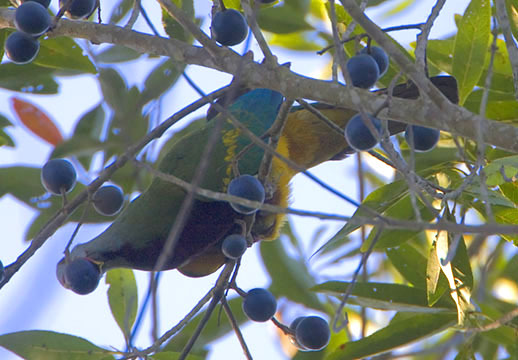 The photo at upper right, although of poor quality, shows one of these birds eating a quandong fruit. 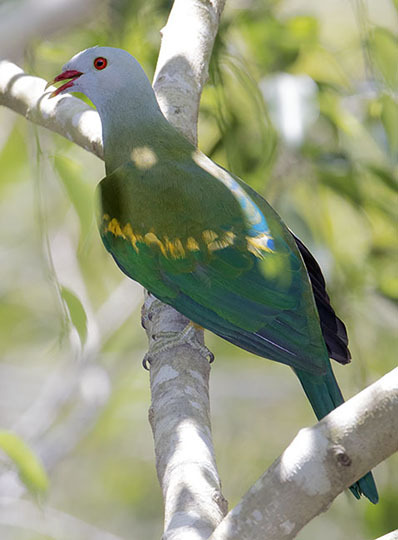 They swallow even these rather large fruits whole, and are a major factor in distributing the seeds of rainforest trees. 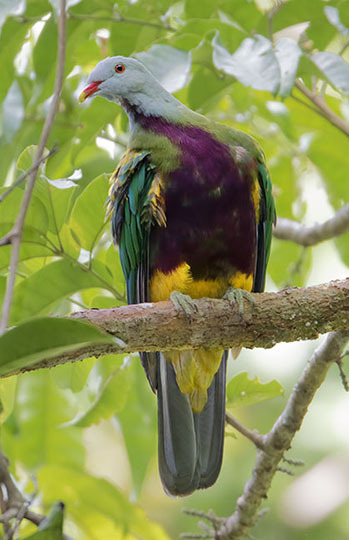 I took the photos on the Atherton Tableleands and in nearby Cape Tribulation National Park in far-north Queensland.